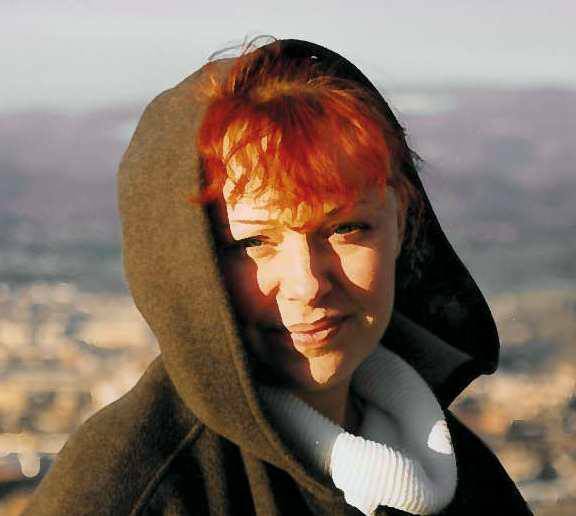 INTERVIEW EXTRA: CATCHING UP WITH AUTHOR JUNE MOONBRIDGE TO TALK ABOUT HER LIFE, WRITING AND SOME VERY INTERESTING DINNER GUESTS…. Hi June and welcome. My opening question – quite predictable by now – is can you tell us a little about yourself? Hi Jo. I’m very glad to be here and thank you for inviting me. Hmmmm… a little about me. I come from Slovenia – a little country in the middle of Europe – (please, do not mistake us for Slovakia) where everything is at the touch of your hands. I work full time as a supply manager (buying steel – so don’t send me buying you a lipstick, I can’t choose one, but I can choose steel 😉 ) I have two kids and husband who – I must confess – does lion’s share of our house work. I love to travel and I love the seaside… If it’s possible – and usually it is – I combine both for our vacations. I love the seaside, no matter the weather or the season… I’m also the one who tries to pursue her dream of being a writer… and live from my writing. 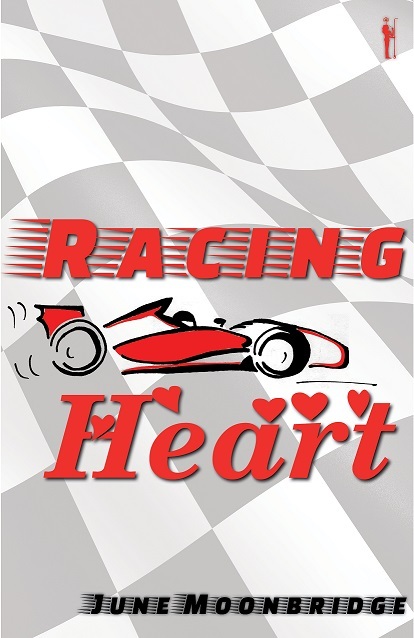 Your first book Racing Heart has just been published by Safhket Publishing, tell us about how that came about? Before I decided to write in English I published several stories in my language and three novels. Then when I realised how much it’s actually lost due to a bad translation – and believe me I have seen and read so many ‘crazy’ translations, that I decided to try and write my novel in English which is – surprise, surprise – my second language. When I had written my first novel in English – before I wrote Racing Heart – I’ve submitted it to the Safkhet Publishing – the story was turned down. But I’m a stubborn one… so two years later I submitted Racing Heart (which at the time had different title) and it was accepted… But to be honest, the second time it was done properly; edited, re-read and proof-read too… it takes time but it’s worth it. Which writers have inspired you and why? Is there anything in particular that draws you to the characters and situations you write about? It happens that I see a photo of a place, or hear a music/song, visit a place, attend or hear about an event and the story just pops into my head. The characters are ‘alive’ through the complete process of writing. I don’t do their biography before actually writing, they are developing and growing through the story till the end… and this is perhaps the reason, why I have such a hard time to write the last few scenes of my novels… it’s hard to let them go. With two children, one at the brink of puberty the other one not that far behind and with special needs, with full time working… my chill out time is actually my time when I write. If I’m lucky enough I squeeze in some time for reading when waiting at different appointments my son has… yup… that’s sums up everything. If you could choose anywhere in the world to visit, where would it be? And lastly, if you could invite four famous faces to dinner who would they be and why? 1st: Ayrton Senna da Silva – the legend! 4th: Pope Francis I – although I started to differentiate between my faith and the Church very early in life, he’s somehow managed to make me believe that changes are possible – he seems like a person with a great deal of common sense. I dropped my mobile on the counter and slowly went to the back office. There I quickly checked the computer. The news I had missed the evening before was still on the first page of the news channel’s website: ‘Free practice cancelled’. I was sitting down, trying to read the article, when I heard the front door open. A quick check into the security camera’s screen revealed that I had a customer; a male customer wearing a baseball cap. That was interesting. Usually all the male customers were accompanied by women and weren’t dressed so casually. “Good morning,” I heard as soon as the door closed behind him. He looked around and finally approached the shelves containing my own collections of fragrances. I fixed my glasses in place and went back to the perfumery. Something in his figure was dangerously familiar. He was dressed in jeans and a tight grey tee shirt. Then I recognised him. I stopped abruptly. “I came back here yesterday afternoon,” he said slowly as he saw me in the wall mirror. He turned around. His silver eyes were looking at me. He removed his cap with his left hand and ran his right hand through his slightly long black hair. I knew that move of his. He repeated it frequently on the screen and at every press conference … and interview … and … . Stop it! I reprimanded myself silently. “Are you really?” he asked. “It’s the same every year when the Formula 1 is in the Principality,” I explained. “You wanted to watch the race?” He looked intrigued. “It wasn’t the race, it was free practice,” I automatically answered and then felt like an idiot. I was explaining to the World Formula 1 Champion what had happened the day before. “How can I help you?” I was all business. “I came to get the perfume,” he answered. “The one, on the … .” he turned back to the shelf and suddenly fell silent. “in the shape of a tear,” he continued and turned back to face me. I could hardly conceal my surprise. He was the first customer who had recognised the shape of the bottle. Usually they didn’t bother with that level of detail. “I know which one you’re talking about. Unfortunately it was there by mistake. The perfume was not for sale.” I opened my hands in fake sorrow. I felt victorious. He looked like he’d lost the ability to speak and suddenly I felt awkward. To break the silence I walked past him to the shelf and moved the other four bottles. Pretending to rearrange the shelf wasn’t helping. Those strange feelings went through me again, similar to the ones I had felt on the Grande Corniche. I was standing too close to him. I searched his face in the mirror and there it was; that ‘trance’ look on his face. “What? I don’t understand. My card should mean something.” He was reverting to his celebrity personality again. I almost laughed. Not this time! “I’m sorry.” I wasn’t sorry. “Except you?” he said angrily. I wasn’t prepared for that tone. I took a deep breath and counted to ten, to stay calm. It was a technique I learned from my psychologist. I gestured at the shelves housing the other fragrances, emblazoned with their celebrities’ names. Some of them were my creations, though that was never to be revealed. His grey eyes became dangerously silver. It was like a storm gathering. I presumed he was accustomed to getting what he wanted. “I’m really sorry,” I said. My acting skills in his presence had improved enormously. He turned around, not saying anything. I did the same and started to rearrange the fragrances on the wall. I was sure he would leave if I ignored him for long enough. I was wrong. The sound of breaking glass made me turn abruptly and I landed squarely on to his muscular chest. Before I could step back, he took my face into his hands, leaned in and kissed me—passionately. It took my breath away, literally. Never in my life had I experienced anything like it. I was like stone, but that didn’t stop him. I felt his tongue brush over my lips and at the same time he wrapped his right arm around my shoulders and tightened his grip. He could not have held me any closer. It was a lovely interview June, pleased to host you – and what’s all this about sounding smart? You are! So admire people who can speak more than one language! What a great interview Jo and June. Really interesting to learn more about June Moonbridge. Thank you Michele for all your support. As always!